La Montagne Sainte-Victoire vue de Bibémus is a fully finished, unusually joyful and affirmative painting. It is a view of the mountain rising above the steep cuts in the rocks of the quarry, and it requires little sophistication and even less effort to move us deeply. The light is late afternoon, the rocks are seen across a small ravine, and the mountain rises as if from right behind the rocks, in a delicate violet that contrasts with the burning oranges of the cut cliffs. 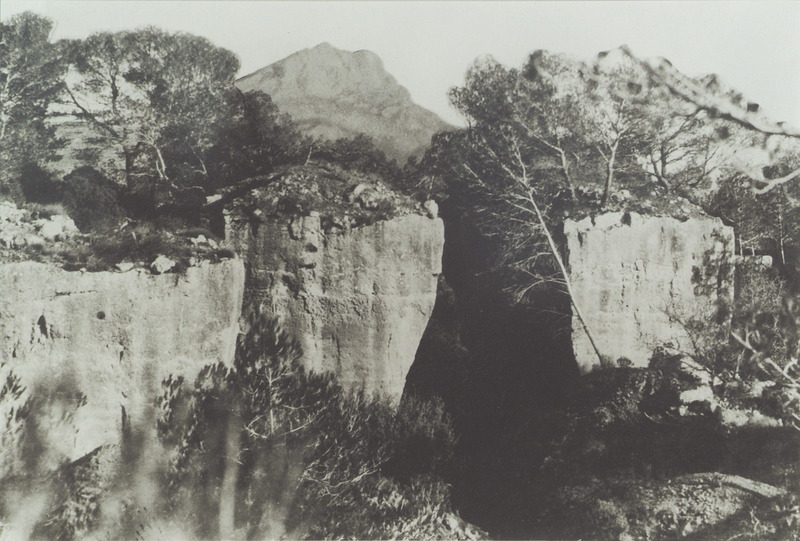 The 1935 photograph shows us the view that Cézanne saw (with one point disputed), while my later one shows the irresistible hues of the rocks before they became overgrown, as they are now. The painting is in fact more complex and subtle, and of greater importance, than this minor dispute would suggest. 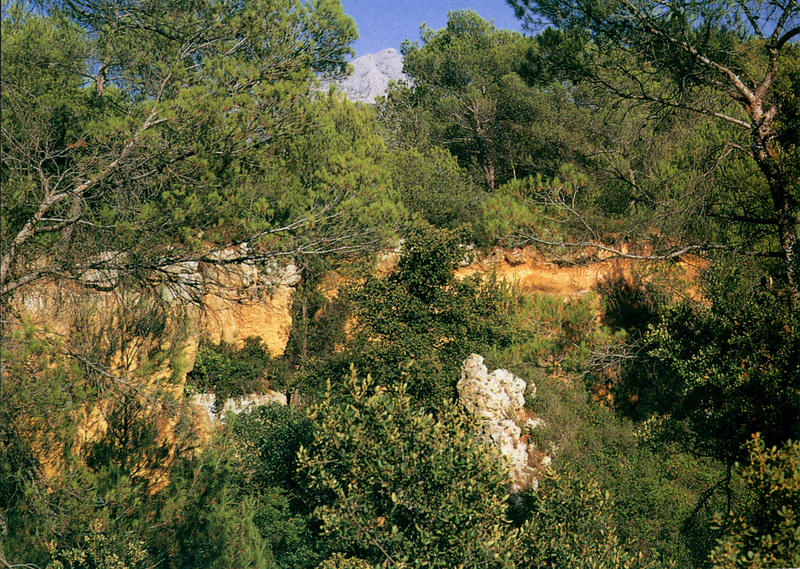 The mountain is deeply connected to the middle ground not through its placement but through the resonances between its structure and the contours of the two central rocks. The repeated shallow Vs of the mountain’s strata nestle into, and mirror, the meeting point of the two rocks. 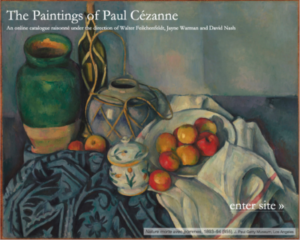 The parallel is striking by itself, but that Cézanne should have centered our gaze there is even more compelling — the vertex of the V also sits above the only gap between the rocks, so that space itself seems to concentrate there. The rock to the left of this point is also parallel to the mountain: its hump lies under a similar undulation in the mountain’s strata. 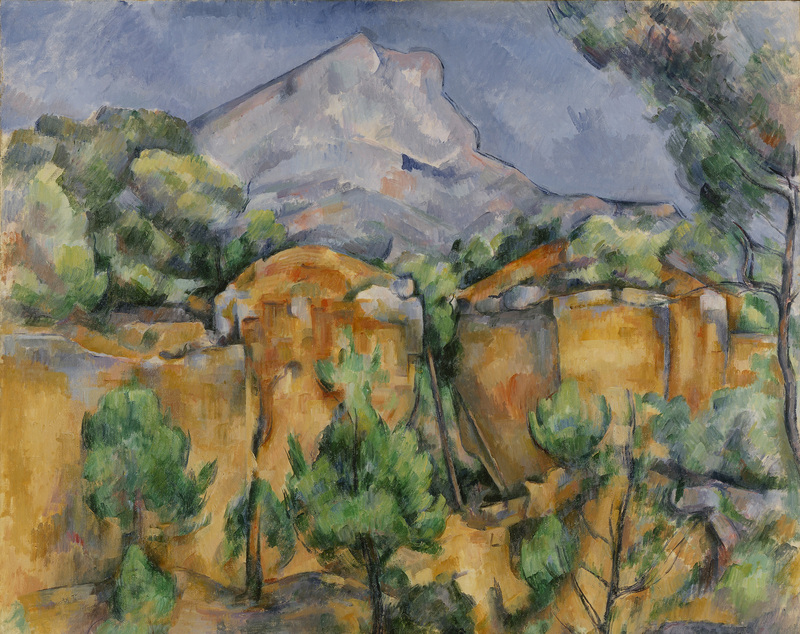 These undulations are visible on the mountain’s surface from anywhere near Aix, and Cézanne might have ignored them in other contexts; here, however, they form part of the rich integrations of the painting and respond to Cézanne’s deepest interests. The buoyant response aroused by the colors, and the intellectual one evoked by these affinities, are perhaps difficult to hold in mind at the same time. We have little choice but to accept that they may alternate. 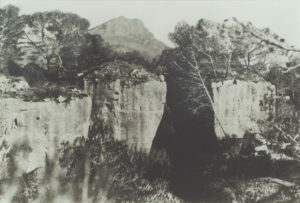 Source: Machotka, Landscape into Art. In their respective books, both Mr. Rewald and Mr. Loran claim authorship of the photograph. 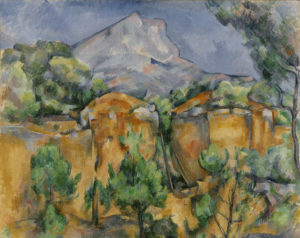 In his book, Cézanne’s Composition, Berkeley, University of California Press, 1944, Erle Loran argues that Cézanne painted the mountain larger than it appeared.